Imperial County has some of the most beautiful landscapes and treasures in California and the United States. From the Colorado River to the Laguna Mountains, the Imperial Sand Dunes, the Salton Sea and Imperial Valley’s emerald farm fields, there are many highlights of this county’s natural beauty. That being said, “COMMUNITY” is the greatest treasure of Imperial County and we need a symbol of our community and the people who live within it. 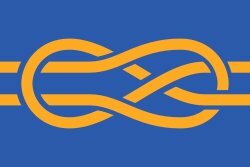 In furtherance of this, the County of Imperial is holding an Imperial County Flag Design Contest. This is an opportunity to create a lasting symbol for the county that captures the history, beauty and uniqueness of our community. Accordingly, the process consists of two separate flag design competitions, one for school children and one for adults, restricted to residents of Imperial County and featuring cash prizes to drum up interest and participation. For each grade from K through 12 a winning design will be selected, the winning designer receiving a $100 prize. From these 13 winners, first-, second-, and third-place prizes will be rewarded consisting of an additional $400, $200, and $100, respectively. For the adult competition, a first-, second-, and third-place winner will be selected and awarded $1000, $500, and $250 respectively. Out of all 16 winning designs across both competition, the county will decide if there is one that it would like to replace the existing flag. Contest rules explicitly allow for the inclusion (or not) of the county seal as part of the flag design, and they leave it up to each contest participant to seek out (or not) flag design recommendations. So we would say to any Imperialist considering entering this competition: we recommend you take a look at the design advice in Good Flag, Bad Flag, and we think you’ll find it helpful. Good Flag, Bad Flag en Español. Next Next post: Hello, Hello Internet!